Sign up as a ECOMAR member under one of the membership levels described below. 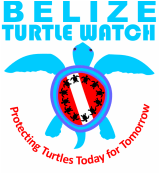 This option is appropriate for visitors to Belize and residents that are eager to support our efforts but are not aligned with any specific program. Thank you for supporting our efforts, it is greatly appreciated! Payments to membership dues are currently accepted in the form of check payments or via our Credit Card Authorization form. Membership dues are listed in US currency. The form can be downloaded, printed, completed and returned to us for processing. 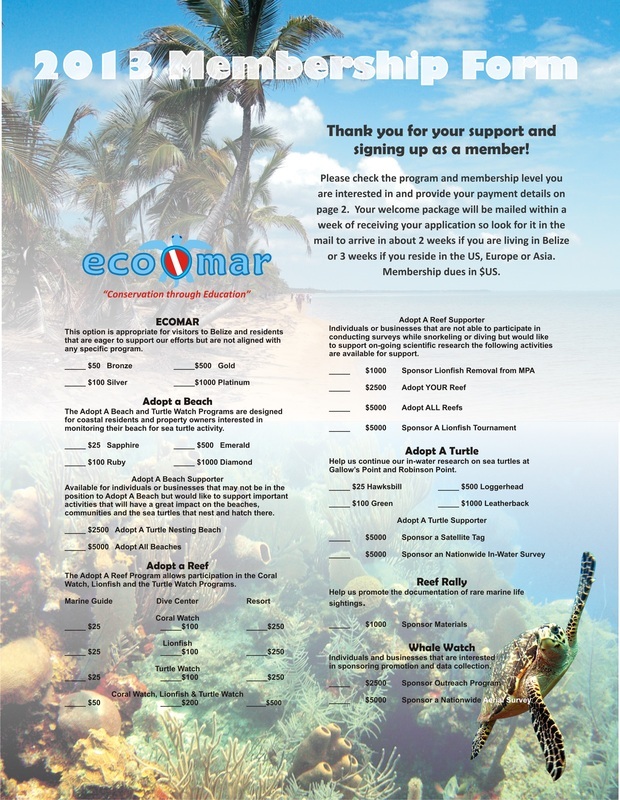 Your membership package will be mailed to you by Belize Postal Service. Shipments to Belize are delivered within a week, to the USA in about 10 days, and other areas 2 - 3 weeks. If you would like to receive your package sooner please let us know and we can provide a quote via Fedex or DHL, or we can ship via international courier and charger to your organization's account.